Frederick Douglass has been called the father of the Civil Rights Movement. Through determination, oratory eloquence and the written word, he helped to shape the national conversation about race. Douglass was an African-American, born in 1818 into slavery in Maryland. He escaped from slavery with the assistance of a free black woman, Anna Murray. who later became his wife. With the friendship of William Lloyd Garrison, he rose to prominence in his own right as an orator on the abolitionist speaking circuit where he recounted his suffering under slavery and his flight to freedom in the North. He began publication, in 1847 of his own newspaper, The North Star, which carried his own and the writings of other abolitionists. 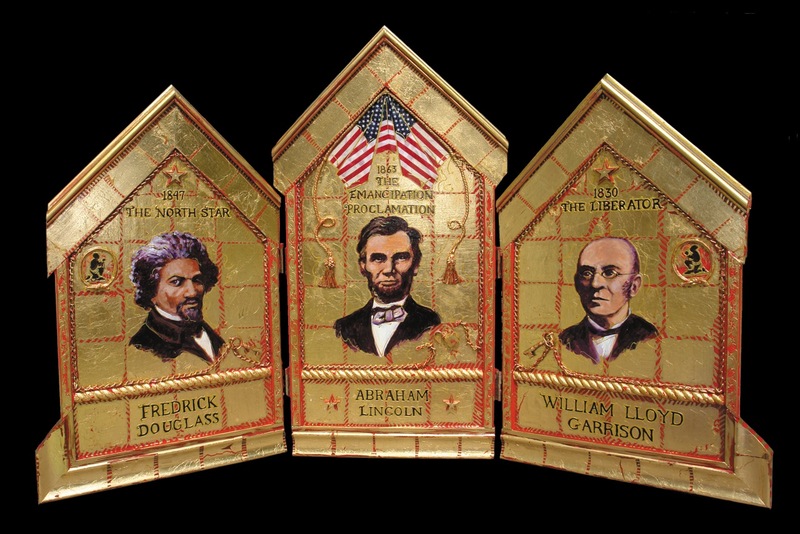 During the Civil War, Douglass met with President Abraham Lincoln at the White House where he urged the President to work more swiftly on black emancipation and the recruitment of black men for the Union Army. After the Civil War and up to his death in 1895 he continued to the battle for equal rights for African-Americans and voting rights for women. President Abraham Lincoln responded to the secession of the Southern states and their attack on Fort Sumter, S.C. by going to war to save the Union. Though Lincoln personally found the institution of slavery abhorrent, he believed that neither the North nor the border states would support the abolition of slavery as an overarching purpose of the Civil War. As thousands of slaves fled the South and joined with the invading Union forces, Lincoln became convinced that abolition was both militarily and morally justifiable. On January 1, 1863, the President issued the Emancipation Proclamation which freed the slaves in the 10 rebellious states of the South and allowed former slaves to serve with pay in the Union army. It also made the abolition of slavery in the United States an explicit goal of the War. At the beginning of his second term, Lincoln pressed Congress to pass an amendment banning slavery throughout the United States and its territories. By December, 1865, the 13th Amendment to the Constitution was ratified by a sufficient number of states.